06/06/14 -- Soycomplex: Beans closed mixed, with front month Jul 14 losing ground as fund money continues to roll out of nearby longs. Fresh news is generally lacking ahead of next Wednesday's USDA WASDE report. That is expected to continue to show a very tight old crop US soybean supply, with 2013/14 ending stocks maybe getting trimmed slightly from last month's 130 million bushel estimate. Continuing with the "soybean jam tomorrow" theme that has been around for some considerable time now, the average new crop ending stocks estimate is 319 million bushels. They may also increase US soybean imports from the existing 90 million bushel forecast. Argentine production could be in for a rise from last month's 54 MMT. Before that we get the USDA's latest crop progress report on Monday, with the trade expecting plantings close to 90% complete versus 78% a week ago, and the first crop condition ratings of the season for soybeans to come in around 70-75% good/excellent. The Buenos Aires Grains Exchange said that soybean harvesting in Argentina was now 80.6% complete versus 73.8% a week ago and 98% a year ago. They still predict production at a record 55.5 MMT. Informa yesterday estimated Argentina's soybean crop at 55.0 MMT versus a previous estimate of 54.0 MMT. They see Brazil's 2013/14 soybean crop at 87.4 MMT, unchanged from their previous estimate. China’s Minitry of Commerce estimated the country's May soybean imports at 5.94 MMT, falling to 4.06 MMT in June. Jul 14 Soybeans closed at $14.57, down 3 1/2 cents; Nov 14 Soybeans closed at $12.18 3/4, up 8 1/4 cents; Jul 14 Soybean Meal closed at $487.60, down $3.00; Jul 14 Soybean Oil closed at 39.01, up 32 points. For the week, Jul 14 beans fell 26 1/4 cents, with meal down $12.60 and oil gaining 51 points. Corn: The corn market jumped 10-12 cents, with fund money stepping in for an estimated net 6,000 contracts. Spillover support came from a short-covering rally in wheat. In a market that's desperate for some bullish news, there's some "hot air" - literally - over the potential for a warm and dry spell developing later in the month (around the Jun 17-20 period). "While this pattern is not expected to last very long....it suggests a minor shift in the recent wet/cool weather pattern that much of the corn belt has benefited from," said Benson Quinn Commodities. It doesn't sound like much of a game changer to me. Indeed, you could say that a spell of warmth and dryness is exactly what the newly planted corn crop needs at the moment, rather than an extended cool and wet spell. In other news, China sold 1 MMT of the 3.5 MMT of corn offered up at yesterday's auction. There are reports that a US corn boat was able to unload at a Chinese port yesterday. The Argentine harvest continues to run well behind schedule. The Buenos Aires Grains Exchange placed harvesting at only 38.5% complete versus 35.8% a week ago and 61.1% a year ago. They estimated production at 24.0 MMT, unchanged from their previous estimate. Informa also has Argentina's corn crop estimated at 24.0 MMT versus a previous estimate of 23.3 MMT. They now see total output from Brazil at 73.8 MMT versus a previous estimate of 73.0 MMT. They have the Russian 2014 corn crop estimated at 11.5 MMT, and the Ukraine 2014 corn crop forecast at 26.0 MMT. I hear that new crop Polish corn is offered around EUR170/tonne FOB the Baltic, with new crop Romanian material at around EUR153-154/tonne FOB Constanta. Europe has already authorised 13.6 MMT of corn for import so far this season, versus a USDA estimate of 13 MMT for the full marketing year. Jul 14 Corn closed at $4.59, up 10 cents; Sep 14 Corn closed at $4.56 1/4, up 12 cents. For the week Jul 14 corn was still 6 3/4 cents lower despite tonight's rise. Wheat: The wheat market broke it's long recent run of almost continual decline with a double-digit short-covering rally. Even so, Chicago wheat was still lower on the week, although Minneapolis and Kansas managed gains of varying magnitude. The latest commitment of traders report shows managed money had liquidated almost it's entire remaining long position in Chicago wheat as of Tuesday night. Their net long is now little more than 1,000 contracts. Heavy rains in Kansas and Oklahoma are raising some yield quality concerns. Meanwhile, "cooling is predicted in the Canadian prairies and the Northern US Great Plains the next several days, a threat to late planted spring wheat and rapeseed. Temperatures are expected to drop 3-6 F below normal with a cool dry air mass dominating the area," said Martell Crop Projections. There's talk that Thailand bought 50,000 MT of US wheat this week. Other Asian buyers such as Bangladesh, Pakistan, Malaysia, the Philippines, Indonesia and Vietnam are said to be currently looking to the Black Sea for their wheat requirements. The Buenos Aires Grains Exchange said that planting of the Argentine 2014/15 winter wheat crop is 11.9% done versus 6.4% a week ago and 19.4% a year ago. Soil moisture profiles are very good, and a bumper crop is hoped for with plantings at 4.3 million hectares versus only 3.5 million a year ago. Informa yesterday estimated the US 2014/15 winter wheat crop at 1.396 billion bushels versus a previous estimate of 1.496 billion and 1.402 billion currently from the USDA. They now have the US 2014/15 winter wheat yield estimated at 42.6 bu/acre versus a previous estimate of 44.6 bu/acre. They have India's 2014 wheat crop estimated at a record 103.0 MMT, and China's at a record 123.5 MMT. Russia's 2014/15 wheat crop was estimated at 51.0 MMT, and Canada's at 29.3 MMT, both are unchanged from their previous estimates. Jul 14 CBOT Wheat closed at $6.18 1/4, up 12 1/2 cents; Jul 14 KCBT Wheat closed at $7.35 1/2, up 21 1/2 cents; Jul 14 MGEX Wheat closed at $7.09 1/4, up 18 3/4 cents. For the week that puts Chicago wheat down 9 cents, with Kansas up 12 1/2 cents and Minneapolis 2 3/4 cents firmer. 06/06/14 -- EU grains closed mixed, with old crop Jul 14 London wheat ending at the lowest close for a front month since late 2011. New crop positions managed modest gains however. The day ended with Jul 14 London wheat down GBP1.70/tonne at GBP145.00/tonne, and with new crop Nov 14 GBP0.55/tonne firmer at GBP143.10/tonne. Nov 14 Paris wheat rose EUR2.00/tonne to EUR193.00/tonne, Aug 14 Paris corn was EUR0.75/tonne higher at EUR178.50/tonne and Aug 14 Paris rapeseed finished EUR1.50/tonne easier at EUR344.25/tonne - a new lowest finish for a front month since July 2010. For the week, Jul 14 London wheat was GBP2.00/tonne lower, with Nov 14 down a more modest GBP0.65/tonne. Paris wheat managed a EUR1.50/tonne gain, with corn up EUR5.00/tonne and rapeseed down EUR6.25/tonne. Despite official optimism over harvest prospects in Russia, there are still private rumblings of discontent over dryness - as highlighted by MDA CropCast yesterday wiping more than 6 MMT off their 2014 Russian wheat production estimate. Whilst lack of rain is the problem in parts of Russia, the jungle drums are suggesting that too much of it in Ukraine and Romania may be harming wheat quality there, with some suggesting that as much as half of the Ukraine wheat crop may only be of feed grade. So whilst quantity might not be a problem, quality certainly could be. The prospect of the usual "cheap and cheerful" sellers having an abundance of feed wheat as well as corn to shift this year is perhaps a mixed blessing for western European growers. The Ukraine Ministry said that 96% of the intended spring grain area has now been sown (7.73 million hectares). Corn planting is complete on almost 4.8 million hectares (97% of plan). Kazakhstan meanwhile is 98% planted on 14.65 million hectares. Talking of mixed blessings, the heavy rains that US farmers on the southern Plains have been wishing for have finally arrived, but too late to be of any use to this year's crop. Indeed, they could even prove to be detrimental to it, delaying the harvest at the very lest, but also possibly causing some yield and quality downgrades. "A large thunderstorm complex developed overnight setting off strong showers, the beginning of a stormy, wet period that may bring 4- 6 inches of rain to Oklahoma state. Wheat is already ripe and ready for harvest. However, soaking rains would replenish field moisture for the 2015 wheat crop, due to be planted in October," said Martell Crop Projections. Neighbouring Kansas is in for a similar drenching. Switching back to western Europe, crop development continues to be well advanced, and production prospects remain very good. A spate of recent forecasts putting the EU-28 2014 rapeseed crop at a record near 22 MMT is weighing on that market. Informa meanwhile yesterday estimated the EU-28 2014 wheat crop at 144.5 MMT versus a previous estimate of 143.0 MMT. This puts them in line with other forecasts which are now centred around the 145 MMT mark, which would be the second largest EU wheat crop ever. FranceAgriMer today said that the entire French wheat crop is now at the heading stage, compared to less than half of it this time last year. Spring barley is 62% headed against only 5% a year ago. Corn is fully planted versus only 88% done this time last year, and 53% of the crop has at least 6-8 leaves visible against only 14% this time last year. French winter wheat rated good/very good fell one point from last week to 74%, although that still compares favourably with 67% this time last year. Winter barley rated good/very good was unchanged on a week ago at 71% versus 66% twelve months ago. Corn rated good/very good was also unchanged on last week at 88%, which is far better than only 59% this time last year. Impending harvest pressure remains, but at these levels it might not take too much to spark a short-covering rally. Russia remains perhaps the most likely catalyst that could trigger such a move. 05/06/14 -- Soycomplex: Beans ended sharply lower. Once again the front end took the worst losses, despite that being where the real tangible tightness is. That's probably due to the fact that this is also where the big spec longs are. We are also in the middle of funds rolling out of those Jul 14 longs. They, of course, have no interest in taking physical delivery of soybeans to the 27th floor of a Manhattan skyscraper. Fund selling was estimated at 5,000 lots in beans and 2,000 each in both meal and soyoil. Weekly export sales came in at 41,300 MT on old crop and 230,500 MT on new crop. Trade estimates had been for old crop sales of -100 TMT to zero, and new crop sales of 500 TMT to up to 1 MMT. Actual shipments this week were 213,388 MT, taking the marketing year total so far to 42.9 MMT. Add on outstanding sales of a further 2 MMT and we get total commitments of 44.9 MMT against a USDA forecast for the season of 43.5 MMT, or 103%. The FAO's Agricultural Market Information System (AMIS) raised their forecast for the world 2013/14 soybean crop by 2 MMT from last month to 283 MMT, and put ending stocks 1 MMT higher than last time at 31 MMT. "In the southern hemisphere prospects are favourable. In Argentina, overall conditions for both the first and second planted crops remain favourable. Harvest is in progress, though is delayed due to excess moisture conditions in some areas. In Brazil, the harvest is complete. Despite the climatic adversity this growing season, the total production increased due to the increase in area planted. In the US, planting is in progress, and conditions are generally favourable at this early stage," they said. The trade may be beginning to focus on new crop prospects in the northern hemisphere, now that the South American harvest is mostly concluded. Prospects for a record US 2014 soybean crop currently look very good. The spec element still seem to fancy owning soybeans, a stance that has proven to be generally profitable of late, and certainly more so than owning corn or wheat. That trend, should it continue, may add some support to even the new crop market, for now at least. Jul 14 Soybeans closed at $14.60 1/2, down 22 cents; Nov 14 Soybeans closed at $12.10 1/2, down 6 3/4 cents; Jul 14 Soybean Meal closed at $490.60, down $5.90; Jul 14 Soybean Oil closed at 38.69, down 56 points. Corn: The corn market closed around 6-8 cents lower. Weekly export sales came in at 550,700 MT on old crop and only 19,600 MT on new crop. The old crop sales included net decreases for unknown destinations (230,400 MT) and China (92,000 MT). Sales to Japan, Columbia, Egypt and Vietnam all included switches from either unknown or China. Actual shipments of almost 1.2 MMT take the 2013/14 marketing year total to just shy of 33.8 MMT, with further unfulfilled sales of 12.4 MMT. That takes total commitments to 46.2 MMT versus a USDA forecast for the season of 48 MMT, which is 96% - similar to the 5-year average of 95% at this time. US weather looks non-threatening. Very heavy rains on the Plains are seen effectively curing the drought there, which whilst coming too late to help wheat will do wonders for corn. The FAO's AMIS raised their forecast for the world 2014/15 corn crop by 21 MMT from last month to 988 MMT. They increased carryout by 7 MMT to 169 MMT, which is also 7 MMT more than at the end of 2013/14. "In the southern hemisphere, the season is nearly complete. In Argentina, conditions are favourable though there is some concern over excess wetness, which is delaying harvest. In Brazil, an overall decrease in production is expected owing to reduced planted area and yield. In the northern hemisphere conditions are generally favourable and planting is nearly complete. There is minor concern over planting delays in the northern US Cornbelt," they said. "In China, overall conditions are favourable and the crop is between planting (northern regions) and flowering (southern regions) stages. In Russia, planting is complete and moisture conditions are sufficient at this early stage. In Ukraine, crop moisture conditions are favourable for the emergence and establishment of the newly planted crop," they added. The Russian Ministry said that corn planting there isn't quite finished off at 97.5% done on 2.5 million hectares. Ukraine said that they'd exported a record 19.74 MMT of corn this season, with a further 264 TMT at store in port waiting to load. Serbian corn was the lowest offer in a Turkish old crop tender. Ukraine new crop corn is said to be offered in the market at around $208/tonne FOB. Fund selling was estimated at around 7,000 lots in Chicago today. Jul 14 Corn closed at $4.49, down 7 1/4 cents; Sep 14 Corn closed at $4.44 1/4, down 8 cents. Wheat: The wheat market ended mixed, with Chicago showing the most weakness. Weekly export sales for old crop came in at just 2,000 MT, whilst new crop sales were 341,400 MT. That was a bit disappointing compared to trade estimates for sales of around 350-600 TMT for both crop years. Exports were 492 TMT, taking the seasonal total to just short of 30 MMT to the period ending 29 May. That leaves just two days of the official 2013/14 marketing year remaining. The USDA's forecast for 2013/14 was for exports of 31.5 MMT, so obviously they are going to fall short of that. The FAO's AMIS raised their forecast for the world 2014/15 wheat crop by 1 MMT from last month to 703 MMT, which is 6 MMT more than the USDA currently predict. They raised ending stocks by 2 MMT to 182 MMT, which is 5 MMT more than this season. "Overall conditions are still mostly favourable in the northern hemisphere. However, significant concern continues in the US southern plains due to dry conditions. In Canada the cool weather continued and is causing some delays for spring wheat. In Turkey there is concern due to hot dry weather. In the southern hemisphere planting is progressing and conditions are generally favourable at this early stage of the season, with some concern over dry conditions in parts of South Africa and Australia," they said. "In Russia, winter wheat conditions are mostly good except in parts of the southern growing regions, where there is some concern over hot dry weather that developed towards the end of the month. Spring wheat planting is nearly complete and conditions are generally favourable at this early stage. In Ukraine, conditions are good and crop development is ahead of average. In the EU prospects are favourable, and similar to last year," they added. MDA CropCast don't agree that Russia's prospects are "mostly good" as they cut their forecast for this year's wheat crop by 6.1 MMT from just a week ago to 45.2 MMT. IKAR on the other hand estimated this year's Russian wheat output at 54.25 MMT, which is 2.5 MMT more than a year ago. They also see exports increasing in 2014/15, up by 1 MMT to 19.4 MMT. Turkey bought 165,000 MT of milling wheat Black Sea origin for July-Aug shipment, along with 105,000 MT of barley Black Sea origin for June-July shipment. Jordan bought 100,000 MT of optional origin wheat for Nov shipment. They are stepping up their buying due to the increased influx of Syrian refugees. Funds sold an estimated 2,000 CBOT wheat contracts on the day. Jul 14 CBOT Wheat closed at $6.05 1/4, down 9 1/4 cents; Jul 14 KCBT Wheat closed at $7.14, up 1/2 cent; Jul 14 MGEX Wheat closed at $6.91 1/2, up 2 cents. 05/06/14 -- EU grains markets reverted to type and finished mostly back in the red, despite one private analyst slashing their forecast for Russian wheat production this year due to heat and dryness. The day ended with Jul 14 London wheat down GBP0.80/tonne at GBP146.70/tonne, and with new crop Nov 14 London wheat GBP0.45/tonne lower at GBP142.55/tonne. Nov 14 Paris wheat ended EUR0.25/tonne lower at EUR191.00/tonne, Jun 14 Paris corn slipped EUR0.25/tonne to EUR168.00/tonne, whilst Aug 14 Paris rapeseed also fell EUR0.25/tonne to EUR345.75/tonne. Private firm MDA CropCast slashed 6.1 MMT off its forecast for Russia's 2014 wheat crop, cutting production there to only 45.2 MMT versus 52.1 MMT last year. They also trimmed their Russian barley production estimate by 2 MMT from last week to 14.7 MMT (versus 15.6 MMT a year ago). In addition they cut their outlook on Russia's sunflower crop by 490 TMT to 9.24 MMT, down from 10.13 MMT in 2013. I can only assume that it's mostly spring wheat where they see these losses occurring. That's still being planted at 96.9% done on 12.7 million hectares, according to the Ag Ministry. Agritel said that much of Russia has only had one third of normal rainfall in the past 2 months. Most analysts seem to believe that the very heavy rainfall that Russian winter wheat areas got last autumn has minimised the effects of the recent dryness. Indeed, Russian analysts IKAR today raised their forecast for the country's 2014 grain crop to 96 MMT from 95 MMT previously and 92.4 MMT in 2013. They said that wheat production would account for 54.5 MMT versus 52 MMT a year ago. IKAR forecast Russia's 2014/14 grain exports at 28 MMT, which is 2 MMT more than they expect shipments to be in 2013/14. Wheat exports will total 19.4 MMT, up 1 MMT compared to 2013/14, they said. If IKAR are correct then that would keep the pressure on for EU wheat prices to ultimately have to work lower to compete on the export arena. The Russian winter wheat harvest is expected to begin around Jun 20. Ukraine meanwhile said that it had exported a record 31.4 MMT of grains so far this season, including 19.74 MMT of corn, 9 MMT of wheat and 2.3 MMT of barley. There's a further 630 TMT of grains in portside stores waiting to load, along with 68 TMT already on board vessels waiting to leave. Crops in Ukraine are generally said to be looking in very good shape. Egypts GASC, temporarily at least, raised the maximum moisture requirement in it's wheat tenders from 13% to 13.5% - a move seen as giving French wheat a better chance of achieving success the next time they buy. They are expected to maybe issue one last tender for the 2013/14 season soon. Jordan bought 100 TMT each of optional origin hard milling wheat and barley in a couple of tenders. Pakistan bought 100 TMT of Black Sea origin wheat. Serbian material was the lowest offer in a Turkish tender for old crop corn, undercutting Ukraine origin by almost $10/tonne on a C&F basis. Brussels issued 285 TMT worth of soft wheat export licences, taking the seasonal total so far to 26.7 MMT. They also authorised 306 TMT worth of corn imports, taking the 2013/14 total so far to 13.6 MMT. That's the third time in the past four weeks that licences to import corn have been higher than those to export wheat. EU crops are generally looking great, with a 6-year high (and second highest ever) wheat crop waiting in the wings, and a potentially record rapeseed harvest only weeks away. The ECB cut interest rates in the eurozone from 0.25% to 0.15%, and also cut the deposit rate below zero, -0.1%, in the hope that this would encourage banks to lend rather than put money on deposit with the Central Bank. An interesting experiment, and one that potentially opens the door for further sterling appreciation against the euro in the months ahead. The BOE meanwhile left UK interest rates on hold at 0.5% - which is now more than three times higher than those on the continent! The pound closed the day around 1.23 against the euro and 1.68 versus the US dollar. New crop UK wheat is currently said to priced around GBP6-7/tonne too dear relative to French origin to pick up any export interest. 04/06/14 -- Soycomplex: Beans closed little changed. 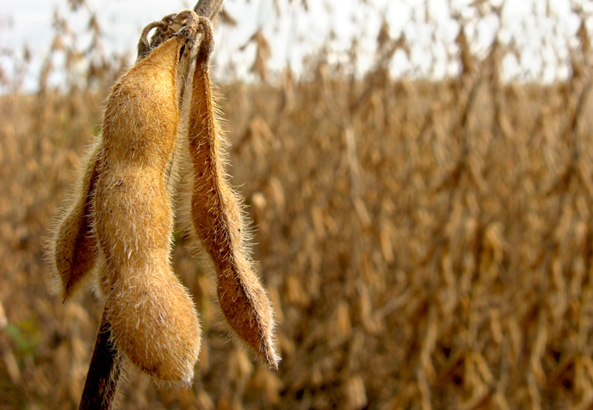 The USDA reported that the US had imported a record 7.12 million bushels of soybeans in April, a record for the month, but a bit below expectations of 10-15 million. The season's (Sep/Apr) imports so far are now 30.5 million bushels. The USDA has full season imports at 90 million bushels. These numbers wouldn't normally attract much interest, but 2013/14 isn't a normal year with US export commitments consistently running above USDA forecasts for the season - most of which have already been shipped. It is said that there are currently a further more than 20 million bushels of Brazilian soybeans either en-route to the US, or preparing to load. That would leave the US with around 40 million bushels still to import between now and the end of August to balance the books. Abiove estimated Brazil’s 2013/14 soybean crop 86.5 MMT, which is 1 MMT below the USDA. They see the domestic soybean crush at 37.6 MMT versus a previous estimate of 37 MMT (the USDA currently still say 37 MMT). Lanworth estimated the US 2014 soybean planted area at 81.9 million acres, with yields at 44 bu/acre and production at a record 3.56 billion bushels. The USDA said 81.5 million acres, 45.2 bu/acre and 3.635 billion bushels last month. They issue revised estimates next Wednesday. Before that we have Brazil's CONAB out with their latest supply and demand estimates on Tuesday. Before that we have the USDA's weekly export sales report due tomorrow. For beans that is expected to show old crop sales of -100 TMT to zero, and new crop sales of 500 TMT to up to 1 MMT. Jul 14 Soybeans closed at $14.82 3/4, up 1 1/2 cents; Nov 14 Soybeans closed at $12.17 1/2, down 4 1/4 cents; Jul 14 Soybean Meal closed at $496.60, down $3.00; Jul 14 Soybean Oil closed at 39.25, up 90 points. Corn: The corn market closed with small losses. The Energy Dept reported the weekly ethanol grind at 938k barrels/day, up from 927k bpd a week previously. That was quite friendly, but "corn usage for ethanol of 98.5 million bushels continues to lag the roughly 103 million that needs to be averaged to meet the USDA’s expectations," said Benson Quinn Commodities. South Korea KOCOPIA bought 50,000 MT of corn, said to be from South Africa, for Sept shipment. Brazilian corn is said to be competitively priced nearby into European markets, whilst the Black Sea sellers are concentrating their efforts on new crop. Lanworth now has the 2014 US corn planted area estimated at 91.1 million acres, with yields at 164.4 bu/acre and production at 13.8 billion bushels. The USDA said 91.7 million acres, 165.3 bu/acre and 13.935 billion bushels last month. Nebraska, Missouri and Iowa picked up heavy rain and hail overnight, although damage to corn and soybeans is not expected to be severe, but there could be some replanting required, possibly lowering the corn acreage a little in favour of beans. "Despite excessive rainfall, most crops are expected to recover. Where hail occurred, irreversible damage to corn and soybeans was done requiring farmers to file insurance claims for reimbursement. It may not be too late to plant soybeans after flood waters drain and fields dry out. It is too late for corn re-planting," said Martell Crop Projections. Trade estimates for tomorrow's weekly export sales report are in the 500-800 TMT region for both crop years. Jul 14 Corn closed at $4.56 1/4, down 2 cents; Dec 14 Corn closed at $4.53 1/2, down 3/4 cent. Wheat: The market managed to post modest gains, breaking a run of ten consecutive lower closes (said to be a 20 year old record). Heavy rain has finally arrived for the parched southern Plains, but it's likely to be too late to be of any benefit. If anything, it could cause more problems than it solves for the US wheat crop, although it could be of some benefit to corn following wheat. Despite the anticipated drop in this year's US crop, production elsewhere around the world is likely to be good, and the US still aim to export around half of their 2014/15 crop. The EU Commission raised their forecast for soft wheat production here to 137.5 MMT from 135.9 MMT previously and up 2.3% on 134.4 MMT last year. The Russian Deputy Ag Minister suggested that a grain crop of 97 MMT there this year was possible, up almost 5% on last year's 92.4 MMT. The Russian Ag Minister himself recently said that output this year could hit 100 MMT. These figures would probably put Russia's wheat crop at around 52-54 MT this year, similar to last year's output and keep them in the frame as aggressive marketeers again for another year. Ditto Ukraine where a 20-22 MMT wheat crop looks to be on the cards for 2014. China meanwhile said that it had already harvested around 25% of its 2014/15 winter wheat crop. Lanworth estimated the 2014/15 US wheat crop at 55.6 MMT versus the USDA's 53.4 MMT. Informa are due to release their revised US wheat production estimates tomorrow. Trade estimates for tomorrow's weekly export sales report for wheat are around 350-600 TMT. Jul 14 CBOT Wheat closed at $6.13 3/4, up 1 1/4 cents; Jul 14 KCBT Wheat closed at $7.13 1/2, up 5 3/4 cents; Jul 14 MGEX Wheat closed at $6.88 3/4, up 4 1/4 cents. 04/06/14 -- EU grains closed mostly a little higher in what might best be called consolidation trade from recent heavy losses, as thing stand you wouldn't call it a sudden reversal of fortunes or a break in the overall downtrend however. The day ended with Jul 14 London wheat up GBP1.00/tonne at GBP147.50/tonne and with new crop Nov 14 London wheat closing GBP0.95/tonne higher at GBP143.00/tonne. Nov 14 Paris wheat closed up EUR1.50/tonne at EUR191.25/tonne, Jun 14 Paris corn was down EUR3.00/tonne to EUR168.25/tonne (the lowest for a front month since last November) and Aug 14 Paris rapeseed was EUR1.00/tonne firmer at EUR346.00/tonne. After hitting multi-month, if not multi-year lows yesterday, some sort of rebound might have been expected. There was maybe an element of "bargain hunting" today. Chicago wheat helped in overnight trade by posting modest gains, after having previously fallen for 10 consecutive sessions - said to be it's longest losing streak in 20 years. The EU Commission raised its forecast for this year's EU-28 soft wheat crop by 1.6 MMT to 137.5 MMT, a 2.3% increase versus 2013. Heavy rain in the southern US Plains is seen as being far too late to be of much use to yields, and possibly more damaging than anything else. The Russian Deputy Ag Minister forecast the 2014 grain crop there at 96.8 MMT. That's below the recent Ag Minister's estimate of 100 MMT, but still a pretty high number, and one that is still above last year's output of 92.4 MMT. The Russian Ministry said that spring wheat had been planted on 12.4 million ha (95% of plan), along with 8.3 million ha of barley (95%) and 2.5 million ha of corn (97%). Sunflowers have been sown on 6.7 million ha (94%), as well as 1.4 million ha of soybeans (81%) and 900k ha of spring rapeseed (83%), they added. In Kazakhstan, spring grain plantings are 90.5% complete on 13.57 million ha, the local Ag Ministry said. Algeria are said to be shopping for 50,000 MT of optional origin milling wheat and a similar volume of barley for September shipment, having bought substantial volumes of both for August earlier in the week. The Chinese Ag Ministry said that 25% of their winter wheat crop is already cut. UK growers are far from enamoured with current ex-farm prices, which are now said to be close to or below the cost of production for some. Black Sea producers however remain almost forced sellers, and are undercutting the rest of the global market on new crop corn and wheat. New crop corn FOB Ukraine is said to be offered at around $206-210/tonne (circa GBP123-125/tonne). 03/06/14 -- Soycomplex: Beans closed lower, with the biggest losses at the front end, despite the fact that old crop is where the tightness is. That may have been due to fund money rolling out of their July longs, creating more sellers than buyers. Sooner or later, the market has to get away from the US old crop situation and begin to focus on 2014/15. The wall of bearish data for that is overwhelming. Oil World forecast 2014/15 global soybean production at 301.2 MMT, up 6% versus their 2013/14 estimate of 283.9 MMT. They see record production from the US (98 MMT), Brazil (90 MMT) and Argentina (56 MMT). Safras e Mercado say that Brazil will produce 93.45 MMT of soybeans next season, Agroconsult say 94 MMT. Oil World meanwhile have 2014/15 global soybean ending stocks estimated at 90.0 MMT, up 23% versus their 2013/14 estimate of 73.2 MMT and far higher than the USDA's current forecast of 82.2 MMT, which in itself is a record. US soybean plantings for 2014 are now ahead of schedule, and well ahead of how things were a year ago. US weather conditions remain non-threatening. "Strong cooling is predicted beginning tomorrow and continuing into early next week. Temperatures would drop back into the low-mid 70s F for highs compared to last week’s 80s F. Night temperatures would be sharply cooler as well with upper 50s F - to mid 60s F," said Martell Crop Projections. This pattern appears synonymous with what might be expected in an El Nino year, when US soybean yields are typically above average. Australia’s Weather Bureau says they see at least a 70% chance of an El Nino this year. Rabobank forecast CBOT soybean prices at $11.50/bu by the end of the year and $11.25/bu in Q1 of 2015. They added the caveat that they do not expect the futures inverse to collapse until Q3 of 2014, when US new crop availability is more certain or demand erodes. They forecast US 2014 soybean yields at 43.8 bu/acre, Dr Cordonnier has them at 44.5 bu/acre, the USDA are at 45.2 bu/acre - I wonder what Rabobank's price projections would be if they were that high on yields? The USDA are due to issue revised supply and demand forecasts next Wednesday. China sold 313 TMT of the 430 TMT of soybeans that they had up at auction today. Jul 14 Soybeans closed at $14.81 1/4, down 19 1/4 cents; Nov 14 Soybeans closed at $12.21 3/4, down 8 cents; Jul 14 Soybean Meal closed at $499.60, down $6.40; Jul 14 Soybean Oil closed at 38.35, up 4 points. Corn: The corn market finished lower, with the largest declines also at the front end. Rabobank predicted CBOT corn prices at $4.30/bu by the end of the year and at $4.10/bu in Q1 of 2014. Whilst the current soy to corn price ratio of more than 3 is unsustainable over a protracted period, they expect corn prices to be supported until soybean prices start to drop. They forecast US 2014 corn plantings at 92 million acres, which is slightly higher than the USDA's 91.7 million estimate. They see yields at 161.0 bu/acre versus the USDA's more optimistic looking 165.1 bu/acre, although they say that yield expectations are increasing due to a build-up of soil moisture in the Midwest along with El Nino talk. Dr Cordonnier estimated 2014 US corn yields at 164.0 bu/acre, up from a previous estimate of 162.0 bu/acre. Ukraine and Russian corn planting is 97% complete, according to their respective Ag Ministries. Rabobank said that Ukraine yields could fall 10%, and production by 14-15% this year. China sold 1.8 MMT of the 3.5 MMT of corn it had up for auction. South Korea's Kocopia seeks 55,000 MT of optional origin corn for Sept shipment. Parts of southern Brazil were said to have had temperatures below freezing on Tuesday morning, which may have caused some damage to second crop corn in some areas. In the US: "Summer-like warmth last week boosted corn development. Minnesota corn “emergence” increased to 69% more than doubling in the week. Northern Midwest corn was virtually all sprouted making good progress after a slow start this spring. Heat units rapidly increased last week with temperatures 6-8 F above normal," said Martell Crop Projections. However, strong cooling is now expected as the jet stream sinks southwards, allowing cooler Canadian air to penetrate the northern United States, they added. Typically, the cooler temperatures and increased rainfall that would accompany an El Nino year in the US Midwest would not be as beneficial for corn as they would be for soybeans. Old crop US corn is currently said to be "priced to sell" into Eastern Med destinations, with offers around $240 C&F versus that sort of level on a FOB basis out of the Black Sea for Jul/Aug delivery. Black Sea corn for Sep/Oct is cheaper though, with Ukraine offers said to be down to $209 FOB. The US Energy Dept will release their regular ethanol production data tomorrow. Last week's output was 927k barrels/day. Jul 14 Corn closed at $4.58 1/4, down 7 1/4 cents; Dec 14 Corn closed at $4.54 1/4, down 4 1/4 cents. Wheat: Chicago wheat sunk to its 18th defeat in 19 sessions, an alarming run. On May 6, CBOT wheat closed at $7.31 3/4, it's now fallen almost $1.20 since then for a drop of more than 16%. Rabobank predict a Q4 CBOT wheat price of $6.00/bu (which is actually 50 cents more than they predicted a month ago), falling to $5.60/bu by the end of the first quarter of 2015. The latter is around a dollar below where the Mar 15 future closed this evening, meaning that they still see a further 15% downside in that. "Improved growing conditions globally are driving an increasingly bearish wheat price outlook," they said. They increased their forecast for EU-28 wheat ending stocks next season by 1 MMT from last month to 14.7 MMT, which is well ahead of the USDA's current 12 MMT estimate. Australian wheat planting will be wrapping up a couple of weeks from now, with the majority sown into good soil moisture, they said. However, the potential for the widely-touted El Nino weather event later in the year could have an adverse effect on production there at the end of the day, they noted. Turkey cancelled a tender for 100,000 MT of durum wheat due to high prices. Jordan bought 50,000 MT of feed barley in a tender for 100,000 MT. Japan are in for 107,239 MT of food wheat for July-Aug shipment in its usual weekly tender. That consists of the regular combination of US, Canadian and Australian origins. Egypt sit on the sidelines, despite the recent sharp drop in global prices. That may be due to increased domestic buying by GASC, and/or credit issues. Either way, the world's largest wheat importer isn't buying on the international stage at the moment. Algeria have bought optional origin wheat this week, widely anticipated to be of French origin. US wheat remains uncompetitive to these sorts of destinations, and that is what the market is tying to adjust to. The cheapest source of new crop wheat appears to be Romanian origin at the moment, that is said to be even under-cutting Russian and Ukraine offers around the Med. Hearing of offers of new crop 11.5% milling wheat as low as EUR180/tonne FOB Constanta. Russian spring wheat planting is said to be 93% complete on 12.2 million hectares. The crop could do with some rain soon, although little is in the 14-day forecast. The outlook for bumper EU wheat production this year saw Paris wheat close below EUR190/tonne on a front month for the first time since September of last year tonight. China will auction wheat from reserves tomorrow. Recent auctions have met with a very tepid response. Jul 14 CBOT Wheat closed at $6.12 1/2, down 8 1/4 cents; Jul 14 KCBT Wheat closed at $7.07 3/4, down 11 cents; Jul 14 MGEX Wheat closed at $6.84 1/2, down 12 3/4 cents. 03/06/14 -- EU grains closed mixed, but mostly lower once more, as Nov 14 London wheat set a lifetime contract low of GBP141.75/tonne in early trade. The day ended with Jul 14 London wheat unchanged at GBP146.50/tonne, and with new crop Nov 14 GBP0.55/tonne lower at GBP142.05/tonne. Nov 14 Paris wheat closed EUR0.75/tonne lower at EUR189.75/tonne, Jun 14 Paris corn was unchanged at EUR171.75/tonne and Aug 14 Paris rapeseed finished EUR3.00/tonne easier at EUR345.00/tonne - the lowest finish for a front month since July 2010. This wheat market simply cannot buy a break at the moment. Almost everywhere you look the news is bearish - and maybe that's about the only bullish factor we have to go on in this market at the moment. Rabobank forecast CBOT wheat falling to $6.00/bu by the end of the year, and to $5.60/bu in Q1 of 2015. Based on where the respective Dec 14 and Mar 15 CBOT futures currently trade, that's a drop of 7.7% in Q4 of this year and a fall of 16.4% in Q1 of next year. If London wheat were to fall by a similar percentage, and I know that is a very big if, then we'd see prices down more than GBP10/tonne from where they are now by the end of 2014, and a drop of a further GBP14/tonne by the end of March 2015 - and you thought that things were bad now! 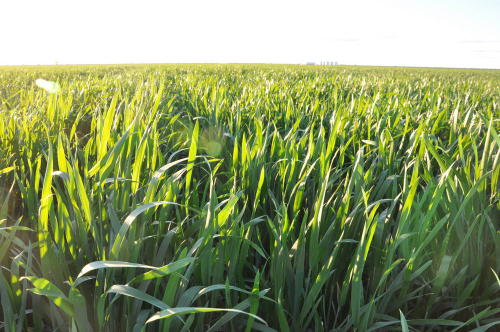 Agritel said that in the northern plains of Kazakhstan, which represent around 90% of the country's grain production area, around 20mm of beneficial rain has fallen in the last two weeks. Russia said that it had planted 93% of both the expected 2014 spring wheat and barley area, along with a 97% of it's intended corn area. Ukraine said that its farmers had planted 97% of the expected 2014 corn area too, along with 98% of the anticipated sunflower and soybean area. Rabobank said that they forecast Ukraine's corn yields down 10% this year due to lack of inputs. 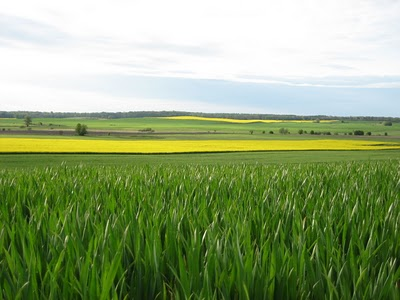 Other analysts note that whilst growers there may have more or less matched last year's planted area, some of it may have been sown with inferior quality local seed, rather than a better quality imported hybrid varieties. Thus yield expectations should be lower. The large hike in Ukraine gas prices will also make the cost of drying corn this year substantially higher. Nevertheless production in 2014 looks likely to be the second highest on record, and exports are expected to hold up at levels similar to the record ones of 2013/14. Whilst the outlook for 2014 EU grain prices certainly remains lower, ultimately this year's price action could actually prove to be bullish in the longer term. Could cash-strapped and war-torn Ukraine farmers be forced to also plant inferior winter wheat seed come the autumn? Throw in a bit of an El Nino wobble re Australia later in the year (Rabobank do see some upside on the back of this), EU plantings down if prices here do fall further, plus an added unexpected weather/war scare somewhere else that we don't know about yet, and there could be some decent upside 12 months down the line. (Note that Nov 15 London wheat now commands a near GBP7.00/tonne premium to Nov 14). Before that though, there may be some more tears before bedtime. History suggests that bumper Black Sea region grain production is usually bearish for global prices, particularly in the first quarter or two of the new marketing year. The respective local currency devaluations of the Ukraine hryvnia and Russian rouble, the desperate need for cash, the lack of on farm storage and the ongoing violence between the two all point to an "I'll take whatever I can get" mentality at harvest time. The instability in Ukraine is only adding to the feeling that "anything could happen yet" - meaning that farmers in the region will be even keener than normal to get their crops sold straight off the combine and turn them into cash whilst they can. 02/06/14 -- Soycomplex: Beans closed mixed, higher on old crop and lower on new crop. Weekly export inspections were 156,364 MT, which was larger than expected. There's no getting away from the fact that old crop US supplies are undeniably tight, but the spectre of record new crop production, both in the US and Brazil (if not Argentina as well) hangs over the forward market. Brazil’s Trade Ministry said that the country had exported 7.6 MMT of beans in May versus 8.25 MMT in April and 7.95 MMT in May 2013. Safras e Mercado said Brazil has sold 72% of their 2013/14 soybean crop, which is almost identical to 71% a year ago and also 71% for the 5-year average. They said that Brazil’s 2014/15 soybean area will increase by 4% and estimated production at a record high of 93.45 MMT. The USDA said after the close that 78% of the US 2014 soybean crop had now been planted versus the 5-year average of 70% done and only 55% a year ago. Minnesota and Michigan are the only notable laggards. Illinois, Indiana and Iowa are all well ahead of normal. Soybean emergence is at 50% against the 5-year average of 45% and versus only 29% a year ago. Jul 14 Soybeans closed at $15.00 1/2, up 7 1/4 cents; Nov 14 Soybeans closed at $12.29 3/4, down 4 cents; Jul 14 Soybean Meal closed at $506.00, up $5.80; Jul 14 Soybean Oil closed at 38.31, down 19 points. Corn: The corn market closed with little change. Weekly export inspections came in at 976,061 MT. The Brazilian Trade Ministry reported that the country had exported only 126,500 MT of corn in May, down versus 562,400 MT in April and below the 275,700 MT shipped out in May 2013. Both Russia and Ukraine reported that their 2014 corn planting is almost finished and on target with Ministry forecasts. Ukraine said that they'd shipped almost 20 MMT of corn so far this season, with Russian exports at a more modest 3.8 MMT - both those figures are record volumes and beat the USDA's forecasts of 19 MMT and 3.5 MMT respectively for the season. The trade was expecting the USDA to show 2014 US corn plantings had progressed from 88% complete last week to around 95% done as of Sunday night, and that's exactly what they did. That's one point ahead of 5-year average and 5 points ahead of this time last year. Emergence was pegged at 80% versus 60% a week ago, 71% last year and exactly in line with the previous 5-year average. In their first crop condition ratings of the season they said that 76% of the crop is in good/excellent condition. That compares favourably with 63% a year ago and is close to the all time high of 78% set in 2007. So the crop is in, and it's looking good, now it's all in the hands of the weather. Jul 14 Corn closed at $4.65 1/2, down 1/4 cent; Sep 14 Corn closed at $4.59 1/4, up 1 1/4 cents. Wheat: The wheat market extended its recent losing run to 17 out of 18. Weekly export inspections were 514,667 MT, which was OK, but still means that the US will fall short of shipping the 31.5 MMT forecast for the 2013/14 season. The trade is concerned that the US is missing out on wheat exports to all but "traditional" US homes. Indonesia bought 125,000 MT of Russian wheat in a tender recently, and other Asian buyers such as Malaysia, Vietnam, and South Korea are also said to be lining up to buy Black Sea origin wheat. Despite the ongoing fighting in Ukraine, grain exports continue more or less unabated. That seems to be giving buyers a bit more confidence in booking wheat from the region. Pakistan bought 100,000 MT of wheat from the Black Sea for Aug/Sept shipment. Algeria bought 700,000 MT of optional origin, thought most likely to be French, new crop milling wheat for August shipment. They also bought 200-250,000 MT of durum wheat from Canada, the EU and possibly Mexico for Aug/Sept shipment. Jordan seeks 100,000 MT of optional origin milling wheat and a similar volume of barley. China's wheat harvest in Shandong Province is underway, and the Ag Ministry there are forecasting a bumper harvest. The USDA said that spring wheat plantings there have now caught up with the 5-year average at 88% complete. Emergence is 67%, which is 5 points behind the norm. Winter wheat crop conditions were only 30% good/excellent, the same as a week ago and 2 points behind this time last year. Winter wheat headed is one point ahead of the norm of 78%. Jul 14 CBOT Wheat closed at $6.20 3/4, down 6 1/2 cents; Jul 14 KCBT Wheat closed at $7.18 3/4, down 4 1/4 cents; Jul 14 MGEX Wheat closed at $6.97 1/4, down 9 1/4 cents. 02/06/14 -- EU grains markets finished mostly back in the red to start the new month on post-harvest pressure. The day ended with Jul 14 London wheat down GBP0.50/tonne at GBP146.50/tonne, and with new crop Nov 14 London wheat GBP1.15/tonne lower at GBP142.60/tonne. Nov 14 Paris wheat ended EUR1.00/tonne lower at EUR190.50/tonne, Jun 14 Paris corn slipped EUR1.75/tonne to EUR171.75/tonne, whilst Aug 14 Paris rapeseed fell EUR2.50/tonne to EUR348.00/tonne. This was a new lowest close for a front month on London wheat since December 2011, the new crop Nov 14 also matched the lifetime contract low of GBP142/tonne at one point in intra-day trade. Paris wheat meanwhile closed within EUR0.50/tonne of the lowest front month close since last September, and a front month on Paris rapeseed has only closed lower than this once since July 2010. Strategie Grains forecast the EU-28 rapeseed crop at 21.8 MMT, up 200 TMT from a month ago and similar to Oil World's record production estimate of 21.9 MMT from last week. Contrary to expectations of a few months ago, Ukraine farmers appear to have just about planted almost all the originally forecast 2014 corn area. 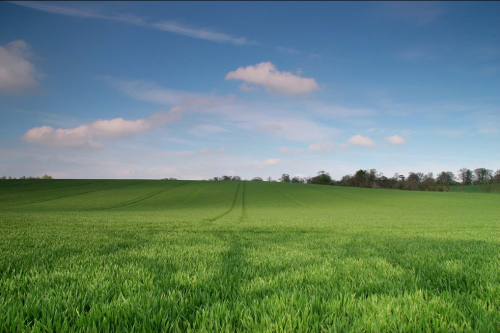 A mild winter and near ideal spring growing conditions also seem set to be offsetting the potential yield reductions from reduced applications of fertiliser and pesticides due to credit issues in the country. Exports out of Ukraine appear to have slowed a little last week, with 185.5 TMT shipped out during the past week, according to APK Inform. That volume included 154.5 TMT of corn and 25 TMT of wheat. The 2013/14 year to date exports are 31.4 MMT, a 42% rise on a year ago. That includes around 20 MMT of corn, 9 MMT of wheat and 2.3 MMT of barley. The Ag Ministry forecast full season exports at 32 MMT. They will be harvesting barley, wheat and rapeseed in Ukraine just a few weeks from now, and the tightness of credit, slumping local currency and lack of on-farm storage all look set to force grower's hands there into being "distressed" sellers straight off the combine. The Kazakhstan’s Ag Ministry said that the country exported 8.21 MMT of grain between July 1st – May 30th, up 27% versus 6.46 MMT a year ago. Spring grains there have been planted on 11.5 million hectares, or 74% of plan, they added. Russian spring grain planting is also well advanced, with 11.4 million acres of spring wheat now sown (87% of plan), which is 1.9 million ha more than at this time last year. Spring barley has been sown on 7.9 million ha (90% of plan), which is 700k ha more than this time in 2013. They've also almost completed corn planting, which is 96% done on 2.5 million ha. Russian exports for the season so far currently stand at 17.8 MMT of wheat, 3.8 MMT of corn and 2.4 MMT of barley. Algeria bought 700 TMT of optional origin milling wheat for August shipment at $274-275/tonne C&F, which is the equivalent of around GBP164/tonne including freight. French material is thought to be the most likely origin. They also bought 200-250 TMT of durum wheat for Aug/Sep shipment. Jordan are tendering for 100 TMT of hard milling wheat for Oct/Nov shipment along with a similar volume of barley. Pakistan bought 100,000 MT of wheat from the Black Sea region for Aug/Sept shipment, along with 45,000 MT of rapeseed of a similar origin for September. 30/05/14 -- Soycomplex: Beans closed lower on the day, and lower for the week despite supportive weekly export sales. The outlook for further good progress to have been made this week with US plantings maybe usurped that. Weekly export sales report for beans were expected to be around zero on old crop and maybe around 500 TMT on new crop. The actual numbers revealed sales of 60,300 MT on old crop and sales of 821,100 MT for 2014/15 delivery. Unknown destinations (388,000 MT) and China (358,000 MT) were the big takers on new crop. Exports of 119,300 MT take the 2013/14 marketing year total shipments to 42.7 MMT, with a further 2.2 MMT of outstanding sales, taking total commitments for the season to 44.9 MMT versus a USDA forecast of 44.2 MMT. The trade is expecting that around 80% of the US 2014 soybean crop could be planted by Sunday night, up from 59% a week ago and well ahead of 57% this time last year. The incentive to plant beans is there for all to see. Agroconsult forecast Brazilian 2014/15 plantings at a record 31.2 million hectares (77.4 million acres), which would be up 4% versus 2013/14. They suggest that production could reach a new record 94 MMT. The Buenos Aires Grains Exchange said that the Argentine soybean harvest is 73.8% done, up only 3.9% on a week ago and 22.3% down on this time a year ago. They stood by their harvest estimate of a record 55.5 MMT. The Rosario Grain Exchange said that nationally the Argentine soybean crop is only averaging 37.19% protein and 22.66% oil, meaning that this record crop could be difficult to sell whether as beans or meal (which is also likely to be low in protein). With old crop prices holding up at traditionally high levels, and potentially record soybean crops getting planted everywhere to take advantage of these lofty levels, the market looks to have significant downside barring a significant summer weather problem in the US. Although we all thought that last year too! Jul 14 Soybeans closed at $14.93 1/4, down 5 3/4 cents; Aug 14 Soybeans closed at $14.24 1/2, down 8 1/4 cents; Jul 14 Soybean Meal closed at $500.20, up $1.80; Jul 14 Soybean Oil closed at 38.50, down 91 points. For the week that puts beans down 22 1/4 cents, with meal off $2.40 and oil sliding 188 points. Corn: The corn market ended around 4-6 cents lower on the day. Trade estimates for the USDA weekly exports sales report were a combined 450-850 TMT for both marketing years. The actual figures were 621,300 MT of old crop and 90,900 MT of new crop. It was noted that the old crop activity included cancellations of 155,900 MT for unknown and a further 115,000 MT for China. Exports of 1,210,200 MT were up 4 percent from the previous week. The total shipped so far this season is now 32.65 MMT, with a further near 13 MMT of outstanding sales. Combined that's 45.6 MMT of commitments against a USDA forecast for the season of 43 MMT. Note though that a much larger percentage of these commitments are unshipped than is the case for soybeans. There's still no sign of the disputed MIR 162 corn variety being approved for shipment into China, a situation that has now been dragging on since late last year, effectively halting virtually all US corn shipments to the country. China sold 1.8 MMT, or 53%, of the 3.5 MMT of corn stocks offered at yesterday’s auction. South Korea's KFA bought 60 TMTs of optional origin corn for Dec shipment. The Buenos Aires Grains Exchange said that the corn harvest in Argentina is 35.8% complete versus 33.1% a week ago and 48.8% a year ago. They estimated production at 24.0 MMT, unchanged from their previous forecast. Russian and Ukraine corn planting is well advanced and both seem confident of another bumper production year One report from southern Russia said that the corn crop there was currently in "as good a condition as I've ever seen it" - despite all the drought talk. Meanwhile in France, corn planting is just about completed. Fully 97% of the crop is "lifting" against 77% a year ago, and 30% of the crop has at least 6-8 leaves visible versus only 4% a year ago. "An emerging El Niño in the tropical Pacific Ocean would influence the weather in the Great Plains and Midwest, mostly in a positive way. Sudden heavy rainfall last week in Texas and Oklahoma, 4-5 inches, was a symptom of a growing El Niño influence. Week to week weather conditions would not necessarily reflect the El Niño signal. That is because the El Niño is a 'climate anomaly' not reflecting changing weather, week to week. Heartland temperatures last week were above normal, contrary to coolness with El Niño . Yet the new rainfall forecast is very wet in the Midwest and northern Great Plains, and consistent with the El Niño signal," said Martell Crop Projections. Jul 14 Corn closed at $4.65 3/4, down 3 3/4 cents; Sep 14 Corn closed at $4.58, down 5 1/4 cents. For the week Jul 14 corn was 12 1/4 cents lower. Wheat: The market closed lower once more, as it now has done for 16 of the last 17 sessions, and also posted it's worst monthly performance since September 2011 whilst it was about it. Weekly export sales showed net reductions of 52,400 MT on old crop, and were 531,500 MT for 2014/15 delivery. Trade estimates were for combined sales of 200-600 TMT. With one week of the 2013/14 marketing year left to go the US has exported just shy of 29.5 MMT of wheat this season versus a USDA target for the year of 31.5 MMT. Outstanding old crop sales are nearly 2.3 MMT, but shipments this week were only 529,100 MT so it looks pretty likely that the US is going to finish 2013/14 falling short of the USDA estimate by around 1.5 MMT. Not all of the US winter wheat crop is in terrible shape. The Illinois Wheat Association's state wheat tour said that the southern Illinois soft red winter wheat average yield potential is 64.68 bu/acre versus 61.60 bu/acre a year ago and 62.0 bu/acre for the five year average. Harvesting is probably 3-4 weeks away. They will also be harvesting winter wheat in southern Russia by then too. A contact over there told me "what's good is very good, but a lot of it is also not so good." However "for sure our harvest will be better than last year, but by how much anyone's guess," he added. The head of Ukraine's state weather forecasting centre's agriculture department said that grain production there this year could even beat last season's record 63 MMT, despite the loss of Crimea. Harvesting there is also not very far away, and crops are said to be in generally good/very good shape. Exports in 2014/15 are now expected to be roughly equal to the record levels of this season, contrary to expectations a few months ago. FranceAgriMer today said that 93% of the French winter wheat crop is headed compared to only 31% a year ago at this time. They left the crop at 75% good/very good, unchanged on a week ago but significantly better than 67% a year ago. Their harvest too is drawing ever closer, and will certainly be at least 2 weeks earlier than last year, and probably more. Wetness means that plantings in Western Canada are however behind schedule at roughly 75-80% done versus 90% normally at this time, according to a report on Reuters. Egypt said that it had bought around 3.5 MMT of wheat on the domestic market so far this new season. The government target is to buy 4.4 MMT. Jul 14 CBOT Wheat closed at $6.27 1/4, down 5 1/4 cents; Jul 14 KCBT Wheat closed at $7.23, down 7 1/2 cents; Jul 14 MGEX Wheat closed at $7.06 1/2, down 8 cents. For the week that puts Chicago wheat down 25 1/4 cents, with Kansas down 22 cents and Minneapolis losing 19 cents.